Your car’s steering and suspension are among its most important systems, affecting performance, comfort, safety, economy, and so much more. These systems also take a lot of punishment every time you drive, from speed bumps to potholes and down to normal accelerating and braking. Over time, steering and suspension parts will begin to wear down, lose their effectiveness, and even fail outright, causing a broad range of issues with your car. From minor problems like uneven tire wear and off-center steering to bigger issues like poor comfort and handling, stiff turning, uncontrollability, and safety concerns, there are many reasons why you need properly functioning steering and suspension. Action Gator Tire offers full-service maintenance and repair of all steering and suspension systems on vehicles of all types and sizes. Our teams of ASE-certified mechanics have experience working on all kinds of power steering racks, shock absorbers, struts, bearings, axles, bushings, ball joints, tie rods, and other key components. We’ll make sure your vehicle remains as safe, comfortable, nimble, and fun to drive as the day you drove it off the lot, all while making sure you use your budget as efficiently and effectively as possible. Your vehicle’s suspension system works hard for your safety and comfort, so we work hard for it. Our thorough suspension inspections will give you peace of mind and catch the warning signs of larger issues before they cause problems. 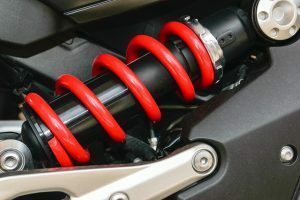 With routine inspections, we’ll keep track of the normal wear and tear your suspension experiences and recommend component repairs and replacements as they’re needed. Our goal is to make sure you always have the complete control and comfort you need, no matter how or where you’re driving. Most modern cars and trucks on the road have hydraulic or electric systems that makes the steering wheel easier to turn, especially at low speeds. These power steering racks and tie rods will wear out over time, causing power steering fluid to leak, turning to become more difficult and other issues. Action Gator Tire specializes in diagnosing, servicing, and repairing all types of power steering racks, tie rods, and other components so you’re always safely in control of your vehicle. Ball joints act as the pivot point between the wheels and the rest of your vehicle’s suspension system. By allowing your suspension to move up and down while your wheels turn left or right, ball joints are a critical component that can’t be ignored. Because they naturally experience friction and wear under normal driving conditions, ball joints must be inspected, serviced, and replaced regularly to ensure proper function and performance. Symptoms of worn or loose ball joints include clunking or noise from the suspension, uneven tire wear, poor handling, unnatural pulling, and even full suspension collapse in extreme cases. The Action Gator team proudly offers expert ball joint replacement services for all types of vehicles throughout South and Central Florida. Shock absorbers and struts allow your car to ride smoothly over bumps, keeping your wheels in contact with the road at all times. 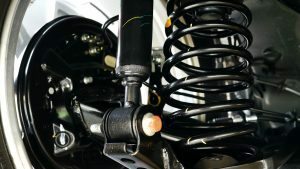 As shocks and struts wear out and lose their effectiveness, you’ll experience more body roll while turning, longer braking distances, less ride comfort, and higher wheel bounce rates. Maintaining your car’s shocks and struts is more than just a comfort issue, it’s critical to performance and safety as well. If your car isn’t riding or handling like it used to, just bring it to the experts at your local Action Gator Tire, and we’ll fix everything quickly, accurately, and affordably.